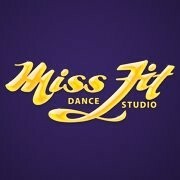 Start taking classes at Miss Fit Dance Studio and other studios! Sydney’s most trusted boutique studios for pole fitness, aerial yoga and aerial hoop (lyra). Exercise in comfort in their luxurious and spacious studios - they do not look like a gym or your lounge room. You'll feel transported as soon as you walk through their door. Learn new skills, have fun and make friends while you discover how great you can be. We're at Unit 15, 54 DICKSON AVENUE ARTARMON, on the corner of Dickson Avenue and Clarendon Road. After 5 pm there's plenty of free parking on Dickson Avenue and from there you can walk up the ramp to our unit on the right side of the complex, with our name on our door. Bathrooms and change facilities on site. This class was actually aerial yoga, great class! Sarah was lovely and welcoming and ensured to explain all of the moves carefully.